Founded in 1945, Atalanta Corporation is the largest privately held food importer in the USA. Through a national sales force, Atalanta delivers the finest meats, cheeses, groceries, and frozen seafood to retailers, food service operators, major restaurant chains, and manufacturers nationwide. In 2016, Camerican celebrated 100 years in the global sourcing business. Camerican sources canned and frozen fruits, vegetables, seafood, meat, and grains from over 40 different countries around the world working with over 125 active suppliers. Camerican prides itself on working with a carefully selected number of processors in each of these countries that meet a rigid criteria for quality control, performance excellence, financial stability, and business integrity. Established in 1945, J.F. Braun is the leading supplier of shelled nuts, dried fruits and snack items to the nut salting, confectionery and baking trades. Their products include cashew nuts, Brazil nuts, hazelnuts, pine nuts, raisins, coconut, banana chips and tropical fruit. J.F. Braun's vast sourcing capabilities enable them to track industry trends, anticipate shortages, and develop new sources of supply. Tipico offers retail, foodservice and industrial customers an array of value-added, imported and domestic cheeses along with a number of processing services performed in its plant. Finica became part of the Gellert Global Group in 1995 and has shifted its business away from German specialties to include a more diverse cheese line. Finica has a minority interest in Mariposa Dairy, a leading goat cheese manufacturer in Eastern Ontario, Canada. Today, Swiss Chalet Fine Foods has succeeded in becoming one of the largest, nationwide specialty distributors of the finest savory and sweet ingredients to professional kitchens, hotels, restaurants, caterers, universities, and institutions in the US and abroad. Founded in 1979 as the importer of Badia a Coltibuono, the first Tuscan extra virgin olive oil to be marketed in America, De Medici Imports provides the specialty food trade with an unparalleled selection of premium products from Italy, France, Spain, Argentina, and America. 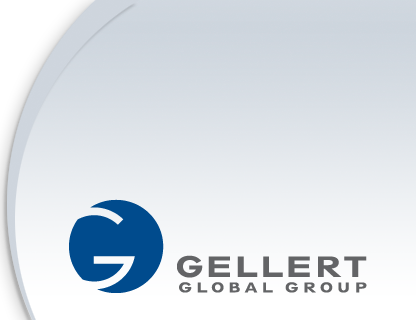 KHI was acquired by Camerican/Gellert Global Group in 2016. KHI began in 1992 and is recognized as one of the largest importers of frozen fruit and purees. KHI works with over 100 active processors in over 40 countries. WePackItAll currently specializes in pouch-filling, blister packaging, and bottle-filling of tablets, powders, cereals, and liquids, as well as other forms of packaging for the nutrition, food and candy industry. Gellfam, through its subsidiary Great Bons, Inc., currently operates five Cinnabon bakeries and one Carvel Express store. Four Cousins Burgers & Fries currently operates 27 Five Guys Burgers and Fries restaurants. Monarch Seafood is primarily a fresh fish and frozen seafood purveyor, based in Jersey City, New Jersey. Andes Quality is a state-of-the-art raisin processing plant at the foothills of Andes Mountains, in Chile, owned by J.F. Braun. The plant is capable of processing raisins with the highest standards required for the cereal and food ingredient clients worldwide.